This post could have also been titled, where did other people want to go on their sports vacation in the last year? The point of this is to let you know what is popular with other VIP Fan Experiences clients, and to perhaps give you an idea for your next sports vacation. There is nothing scientific about this list. It is what it is as they like to say. People contact us to go on sports vacations, and this is where they wanted to go. The best part about this Top 10 list is that I’m not going to make you click through 10 pages and an ad to see them all. You’re welcome. It isn’t really a secret why Chicago would top this list. It is a great city to visit in general (especially in the summer) and it is home to some of the most popular sports teams in the United States. The Cubs, Bears and Blackhawks all boast some of the biggest fanbases world-wide, and the White Sox made some major moves in the offseason to make sure they aren’t forgotten either. Add to that the incredible food, great public transportation and some of the best accommodations anywhere, Chicago is definitely a place you should visit for your next sports vacation. We can pretend this isn’t all about the Cowboys and the opulent AT&T Stadium with its ability to host the biggest events in sports and entertainment, but Jerry Jones has made North Texas the place to be when it comes to sports. The vast majority of our contacts were for Cowboys games however, and as long as they are competitive, Cowboy Nation will come in droves. I could easily re-name this “Foxboro” but that would also be giving the Red Sox and Fenway Park short shrift. Foxboro is certainly close enough to qualify as Boston and many of our clients have been able to enjoy the atmosphere, accommodations and history that Boston provides before and after a Patriots game, while taking in all that Gillette Stadium and the World Champion New England Patriots bring to the table on Sundays. This small city in Northeast Wisconsin was a favorite destination for VIP Fan Experiences clients in the past year. 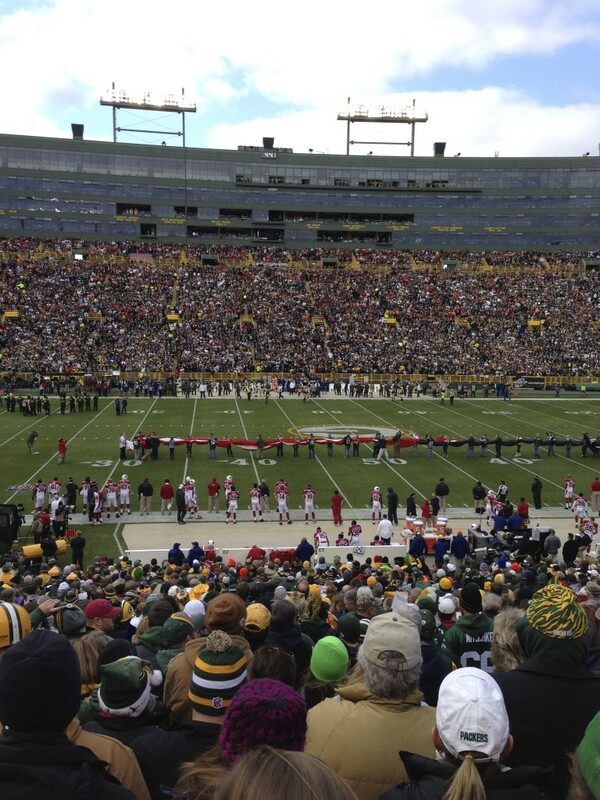 Whether or not you root for the Packers, Lambeau Field is a bucket list item that needs to be crossed off. Beer, brats and yes, even cheese, need to be sampled before, during and after any trip to Lambeau. There is not a bad seat in the house, even when the Tundra is frozen. Sports gambling is the main draw here, but there are also many other live sporting events that happen in Vegas each year, and there is every reason to believe that this trend will continue. If you like boxing or simply being a part of big events, Las Vegas is a fantastic place to go on a sports vacation in place of overspending to go to the Super Bowl or March Madness. Peyton Manning and the Broncos have driven up the popularity of Denver in the past few year. In addition to a trip to Mile High, the Avalanche and Rockies put on a show in their own right. Combine sports with a multitude of great craft breweries, it is high time you visit Denver. Many people agree that despite its faults, New York is at least in the conversation for greatest cities on Earth. The history of Madison Square Garden and Yankee Stadium (even though this iteration isn’t really historic, it is still a place that needs to be seen) are the draw here. We’ll include the Giants and Jets in the New York category too. New York has incredible sight seeing opportunities, and a diverse selection of food that is an important part of the experience. The opening of Levis Stadium contributed greatly to the areas popularity in the past year. AT&T Park on the San Francisco Bay is an absolute gem, and needs to be seen to be believed, even if you aren’t a Giants fan. This is a fairly large geographic area, but close enough that combination trips are easy to accomplish. The best spot for a NASCAR trip thanks to the NASCAR Hall of Fame and the Charlotte Speedway. The Panthers are also hot, and the city was host the NCAA trips this year too. Each of these cities is great in its own in its own unique way. For Kansas City, it’s the barbecue, and the sporting complex that hosts both the Chiefs and Royals in a shared parking lot. For San Diego, the weather is great, and even though you’re probably sick of hearing about it, it’s a true statement. Petco Park is a great place to catch a relaxing game of baseball, and the Padres look like they will be competitive. Seattle has the NFC Champion Seahawks as the main draw, and if you remember your ear plugs, you need to see a game at CenturyLink Field. So there you have it. The top 10-ish Sports Vacation destinations for the last year based upon a survey of sorts from the clients of VIP Fan Experiences. See something you like? Contact us for your bucket list trip!